The Big Wobble: "Arlene" First Tropical Storm of the Atlantic Hurricane Season is underway! "Arlene" First Tropical Storm of the Atlantic Hurricane Season is underway! NASA-NOAA's Suomi NPP satellite captured this visible image of Tropical Depression One in the North Central Atlantic Ocean on April 20. Arlene formed on April 20 as Tropical Depression 1 and strengthened into a tropical storm at 5 p.m. EST that day. On April 20 NASA-NOAA's Suomi NPP satellite captured a visible image of Tropical Depression One as it was strengthening into a tropical storm. The image showed a large area of thunderstorms over the southwestern and northeastern quadrants of the storm. 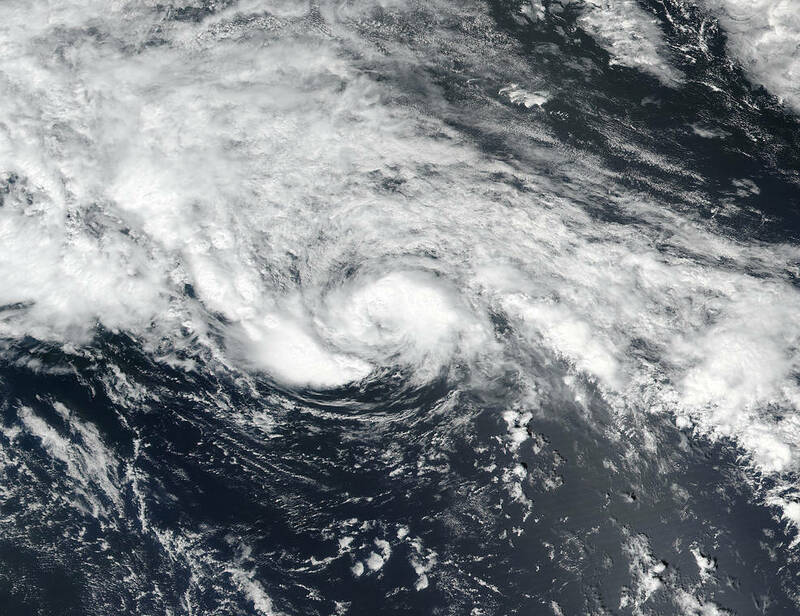 NOAA's GOES-East satellite captured a visible image of Tropical Storm Arlene on April 21. Thunderstorms wrapped tightly around the center of circulation and a large band of storms circled west of center. Located to the west of Arlene were clouds associated with another frontal system. Arlene was moving toward the west near 31 mph (50 kph) and this general motion is expected to continue today. Maximum sustained winds were near 50 mph (85 kph) with higher gusts.